Need a tasty appetizer that’s also quick and easy? 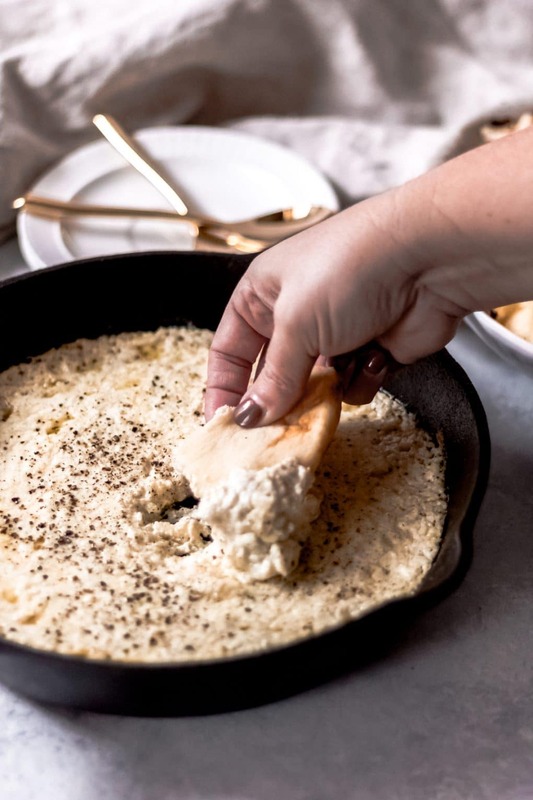 This baked ricotta dip is the perfect appetizer for your next casual get-together. It’s an easy one-pan dish that requires minimal ingredients and minimal effort! Ricotta (pronounced ree-coat-a) is an Italian cheese made from the whey left over from the production of other cheeses. 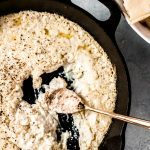 It has a creamy, mild flavor, which makes it perfect for an appetizer such as this baked ricotta dip. 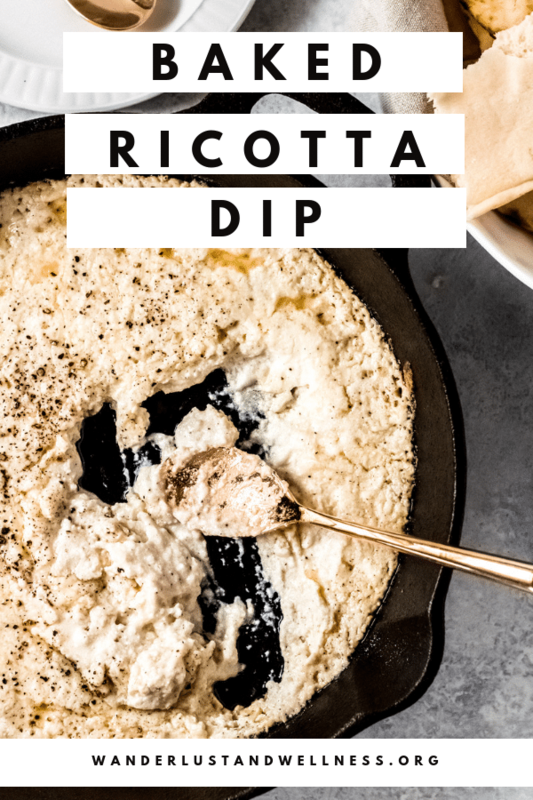 How do I make baked ricotta dip? 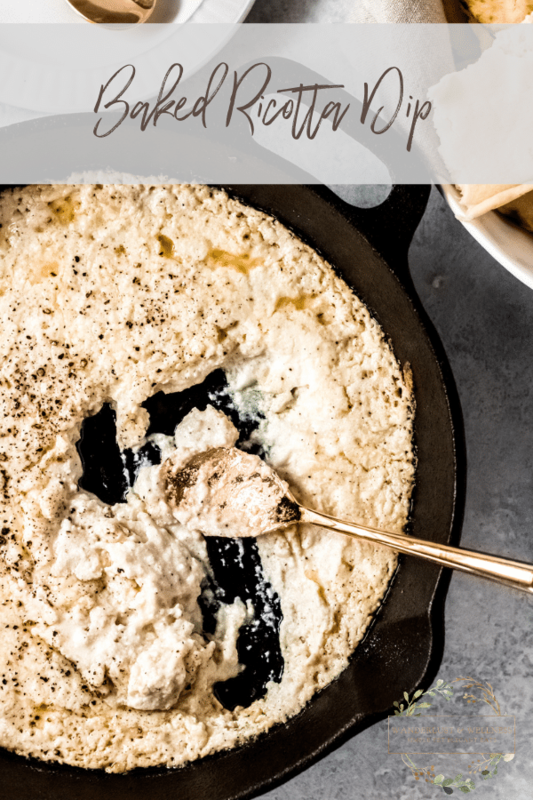 Baked ricotta dip is super easy to make. You’ll simply combine all of the ingredients into a bowl, mix to combine and transfer to a cast iron or oven-safe skillet. Serve with warm gluten-free naan bread, like this 3 Ingredient Paleo Naan from My Heart Beets, or your favorite gluten-free crackers and enjoy! It’s really that easy. 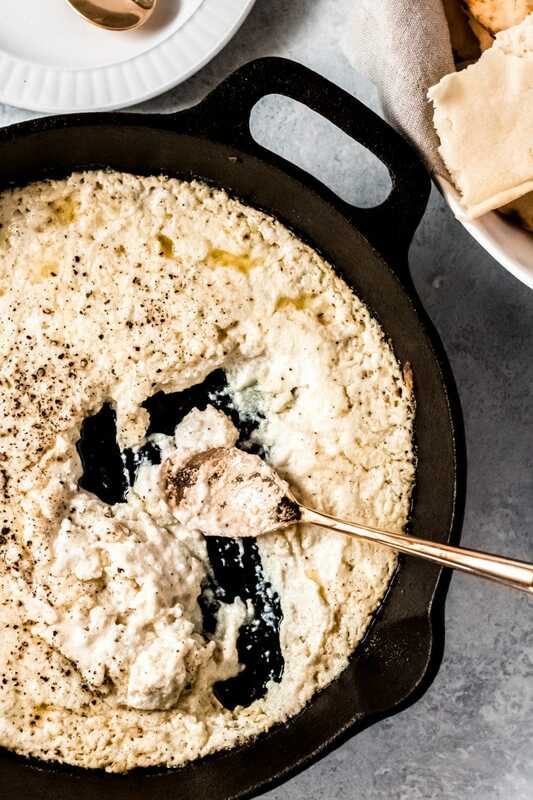 This baked ricotta dip is the perfect appetizer for your next casual get-together. It’s an easy one-pan dish that requires minimal ingredients and minimal effort! If you liked this recipe, please give it a 5-star rating! Add all of the dip ingredients to a large bowl and stir to combine. 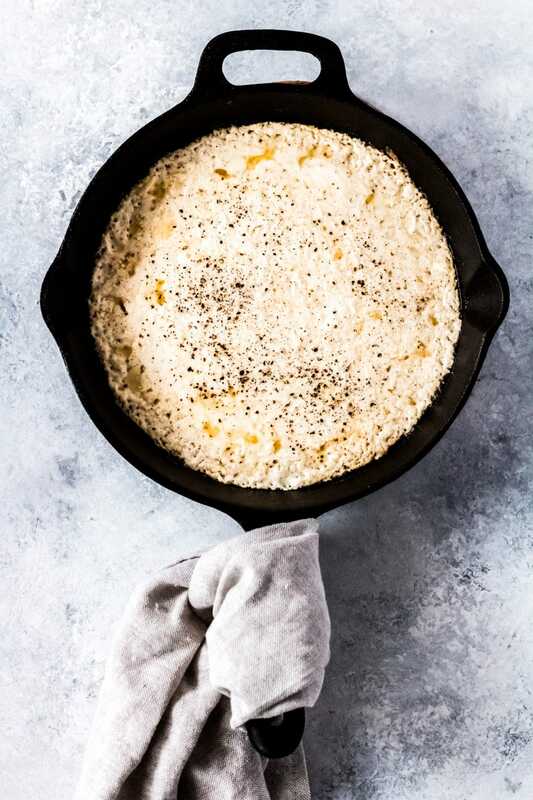 Transfer dip to a medium-sized cast iron skillet. Spread to fill the entire skillet. Bake for 10-15 minutes or until bubbly. Serve with warm gluten-free naan bread or crackers. Check out these cheesy appetizers!